How Many People Were On The Hoboken Train When It Crashed? 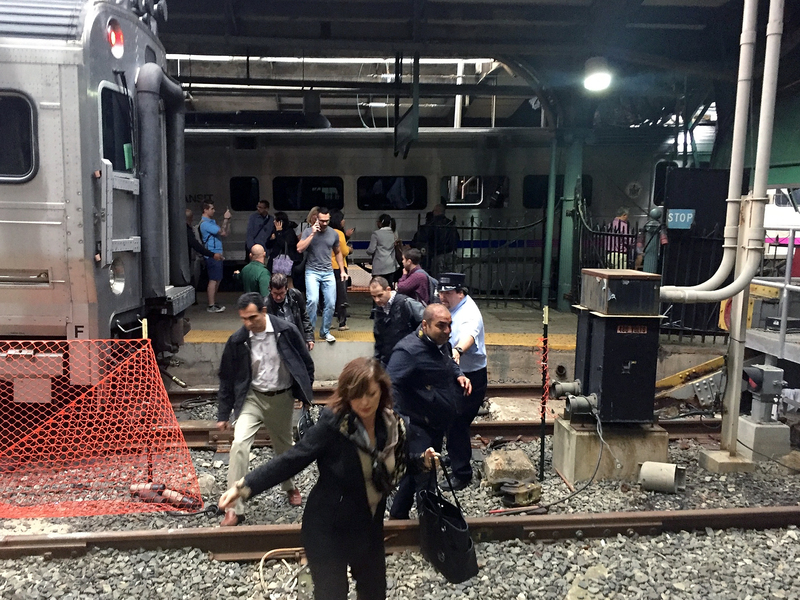 On the morning of Thursday, Sept. 29, a train crashed into a Hoboken, New Jersey station during the morning commute. The news is still developing, but from the details that are already being reported, it's clearly a horrific situation. According to the New York Daily News, the incident happened just before 9 a.m., and many of the passengers immediately turned to Twitter to share photos and report what they saw. Since the accident happened while people were on their way to work, there were a lot of passengers involved. So just how many people were on the Hoboken train when it crashed? So far, the exact number isn't known, but it sounds like it could be in the hundreds. Early reports from ABC News say that as many as 100 people were injured in the crash so far, although it's not clear how many of those people were actually passengers on the train and how many were in the station at the time of the accident. NBC New York adds that there are 15,000 boardings at that station weekly, which also happens to be one of New Jersey's busiest. The potential is definitely there for this to have affected many, and the photos of the Hoboken station and the crash's aftermath that have hit the internet so far prove that the impact of this event has been huge. This post will be updated when and if an exact number of train passengers is made available.